We’ve all got stories that we tell ourselves in order to get by. Sometimes they’re rooted in truth, other times, not so much. This week, Snap Judgment examines inner storytelling and how we use it to make sense of the world around us. 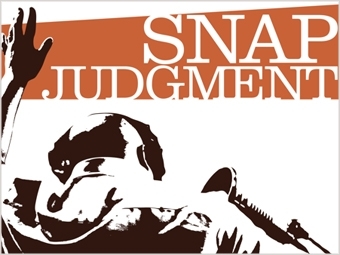 Snap Judgment is a new program from NPR. We’ve asked you to give it a ‘test drive’ these last five weeks and we’d love to know what you think. Tune in next Saturday at 4 for Radiolab. This week, we hear tales of urgency and priority from Snap Judgment. "Life Stories" is a new collection of original works by Russian writers published in the U.S. by Russian Information Services, which is based in Montpelier. All proceeds from the book will benefit Russian hospice care.